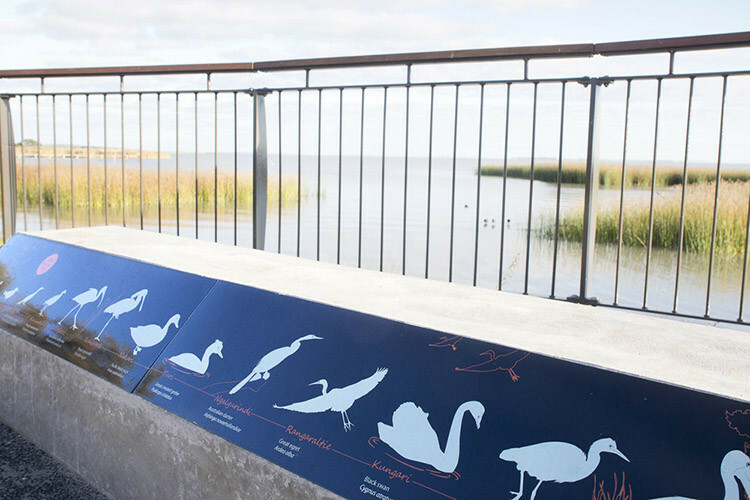 The scope of the work incorporated 2 viewing platforms, a bird viewing structure and beachfront stabilisation steps was commissioned by the Department of Environment, Water and Natural Resources (DEWNR) to complement existing infrastructure works already completed. 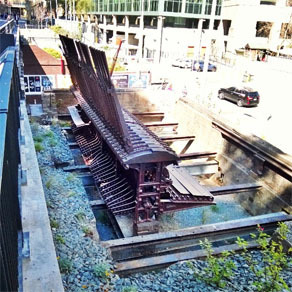 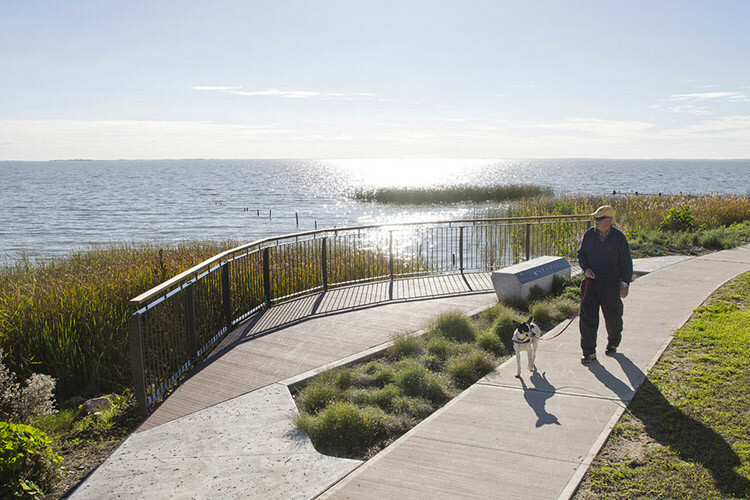 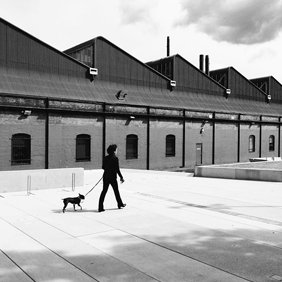 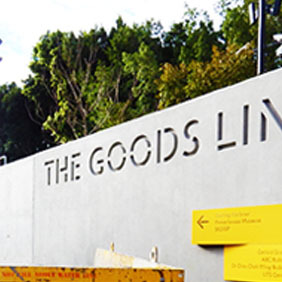 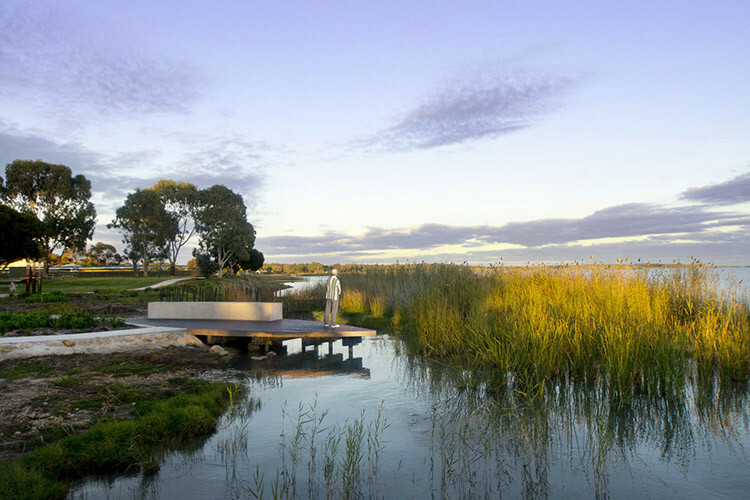 ASPECT Studio’s approach focussed on the delivery of a timeless and durable suite of infrastructure elements that complement the style of recently constructed works and provide visitors with the opportunity to engage with the water and lake edge habitat. 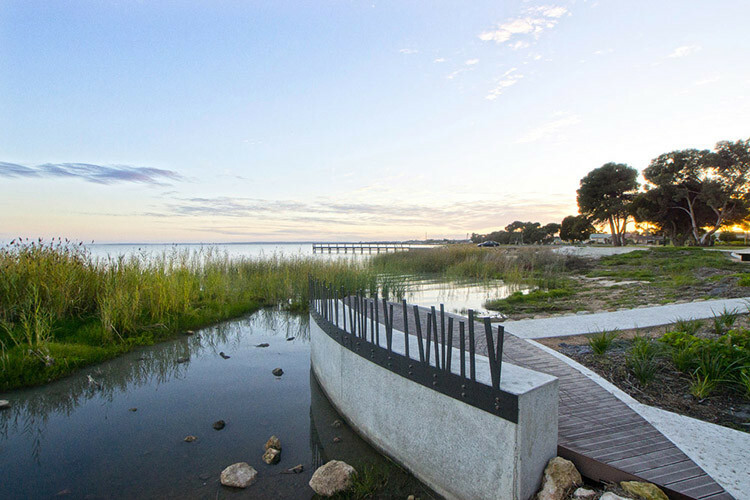 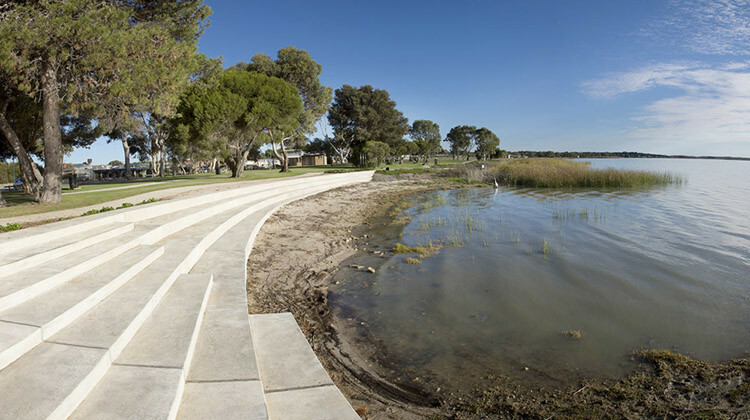 The Meningie Lakefront Habitat Restoration Project provided ASPECT Studios newly established Adelaide studio with a significant opportunity to explore site specific discreet design outcomes. 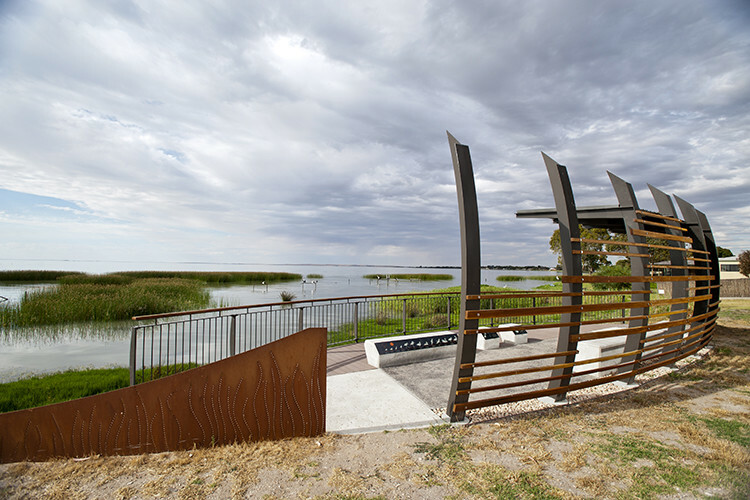 The project presented the opportunities to explore the design of environmentally sensitive and durable interventions, small in scale, but large in impact. 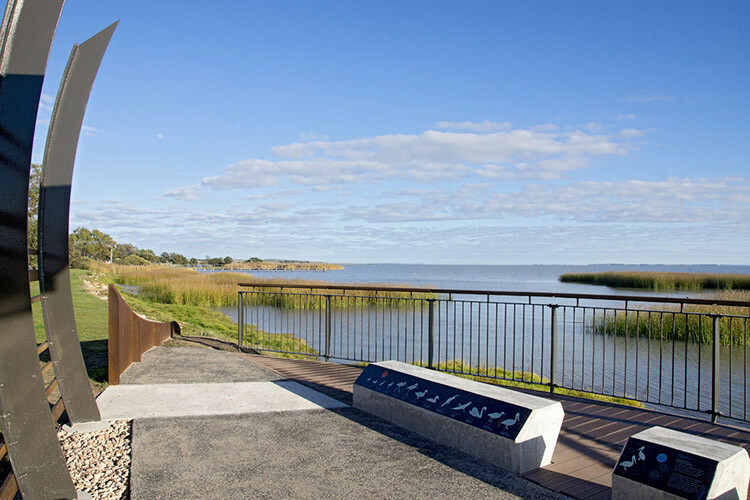 Located on the edge of Lake Albert, Meningie is an important town in the region, being a gateway town to the Coorong and an attractive location for a break in tourist’s journey approximately 2 hours from Adelaide. 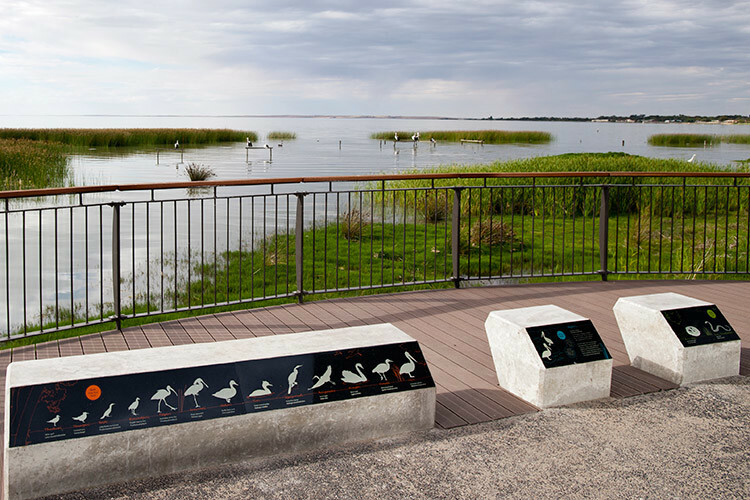 Hit hard by the drought, and with significantly reduced water levels in the lake, the restoration project was implemented through the federally funded Coorong , Lower Lakes and Murray Mouth Program, with a focus on improving habitat for flora and fauna and instilling community pride.